The Nightmare Before Christmas gets super-deformed in this series of D-Formz PVC figurines. 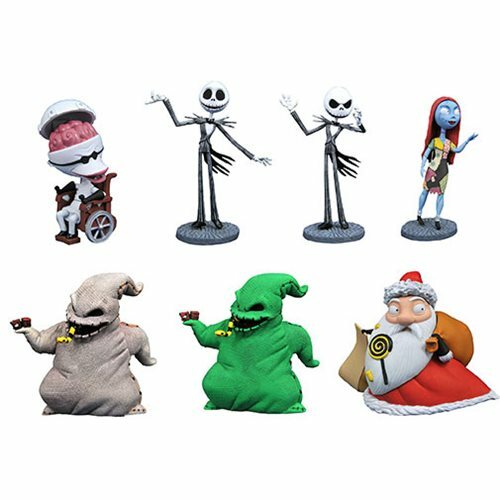 Featuring Jack Skellington, Sally, Oogie Boogie, Doc Finkelstein and Santa Claus in a chibi style, this assortment includes two of each style, plus two rare variant figurines. And each is blind boxed, so you never know who you'll get! The Nightmare Before Christmas D-Formz Mini-Figure Case contains 12 individually blind-boxed mini-figures.